The New West Symphony inspires passion for music through live performances that attract, engage, educate and enrich our diverse audiences. Each year The New West Symphony presents six Masterpiece Series concerts, performing major works from the symphonic repertoire. Our world-class caliber musicians often host internationally-acclaimed artists as guest soloists. 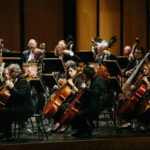 The New West Symphony is proof that a professional symphonic orchestra is a critical part of the cultural and economic vitality of our thriving community. You may not realize that The Symphony also provides quality outreach and education opportunities for the communities we serve. Our annual program, Symphonic Adventures, provides full concerts in the theatre for young people to attend. The Music Van is a travelling “petting zoo” of instruments for kids to touch and play. And the Laby Harmony Project of New West Symphony provides year-round music and leadership programs for underserved student musicians. Individuals, local businesses and corporations keep our music alive. Supporting the New West Symphony with a gift or sponsorship helps us sustain and grow the highest quality of live classical music and music education in the region. Please consider making your gift today. Sponsorships for the New West Symphony provide members of our local community with a fun way to be recognized for their leadership and support of our work. Our local business community recognizes that the arts play a strong role in fostering economic development and quality of life. Both businesses and individuals will find that sponsoring a concert provides an outstanding opportunity for community awareness, and can assist your efforts in business development and employee and client appreciation. Adopt-A-Musician connects you with your favorite instrument or musician of the orchestra. Benefits of giving include the opportunity to meet with your adopted musician, invitations to private rehearsal receptions and exclusive events where you can mingle with your adopted musician. 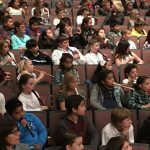 New West Symphony works year-round to bring music education into the lives of young people in our communities. 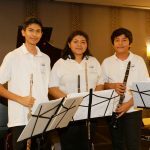 Our programs are designed to inspire passion for music through interactive live performances and music education programs that enrich the lives of young audience members and young musicians.